New house in a Special Area of Conservation. 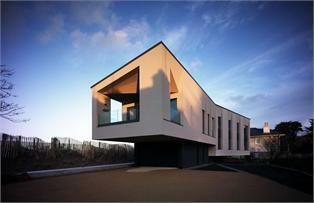 A beautiful new build home designed by Aughey O'Flaherty Architects Dublin and built by Smith Con – David Smith. This unique home is located on the beach to the rear and overlooks a private lake to the front. A Baumit render system was selected to be applied over a cement fibre board base, due to the sea location the selected finish was Baumit’s SilikonTop render in a bespoke colour. A spectacular finish to a unique Building.